AVAmedica offers an extensive selection of choices for men interested in toning and tightening the skin of their face and neck to promote a healthier, younger appearance. We can perform instant thread lifts, Ultherapy® procedures and SculpSure® treatments to restore a youthful appearance, remove unwanted fat deposits and to boost your body’s own healing power. NovaThreads® are a non-surgical way to achieve many of the same results as a face lift on a temporary basis. Tiny threads are injected under the skin to stimulate the production of collagen, a natural protein that can add fullness to facial tissues for a more youthful appearance. The expert aestheticians at AVAmedica will work with you to determine the most effective placement of your injections. The NovaThreads® will break down naturally over time, but the increased production of collagen will continue to strengthen and tone your skin for months or years to come. For men looking for a non-surgical way to achieve a brow or neck lift or to tighten skin on their arms, legs or abdomens, Ultherapy® is a safe and relatively painless solution for these issues. 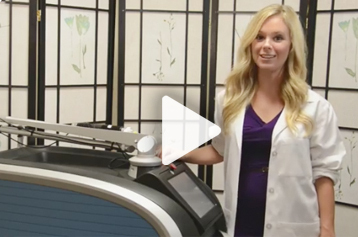 Based on the principles of ultrasound, the Ultherapy® system can jump-start the collagen production process to tighten and tone skin and help you achieve the youngest and healthiest look possible. Unwanted fat deposits can reduce your self-confidence and have a significant effect on your appearance. SculpSure® treatments can permanently eliminate excess fat from under your chin, around your jaw and in other areas of your face and body. This can allow you to enjoy the greatest degree of confidence when dealing with new people and new situations. To learn more about our skin tightening and non-surgical face lift options, contact us at 646-588-0888. We look forward to the chance to serve all your personal improvement needs.